Barbara’s interior design background serves her well as a leading real estate professional. For buyers, her ability to envision the possibilities can help recognize untapped potential in a property. For sellers, her expert staging skills will ensure your home shows in the best light and generates maximum return on investment. If you’re considering a move, make sure you choose your real estate professional carefully. 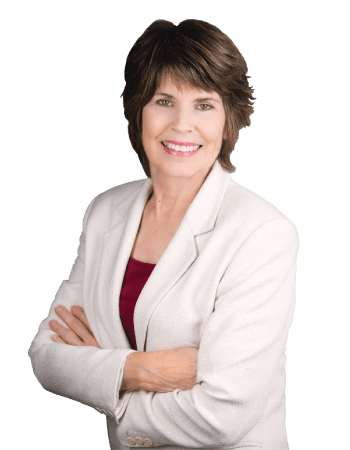 Combining a love for the area, a genuine desire to help others and an ability to ﬁnd creative solutions, Barbara Houston is bringing An Inspired Approach to Real Estate. Contact her today to schedule a private consultation and get started on your best move yet. 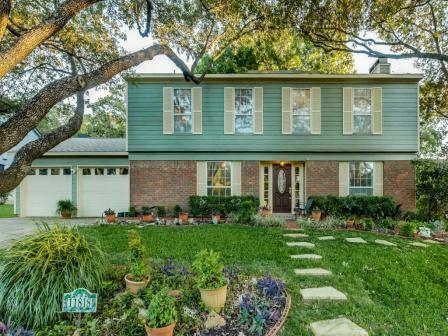 – Chuck & Kathy L.
– Michael and Jo Jean R.
She led us through a review of the pricing process and we agreed on an asking price. Barbara arranged for a photographer to take some great pictures – the rooms looked bigger, the shrubs thicker and the grass greener. The internet listing generated considerable interest. She had two serious buyers and let them know that it was a competitive situation. “I wanted to make a change so I called on my friend and Realtor, Barbara Houston. I told her what I wanted to do and she went to work. I wanted to sell my home, pay it off and with the profit, pay cash in full for a new home. Barbara helped me locate my new home. She coordinated an offer on it with contingency to purchase upon sale of my current home. With her guidance, I was able to prepare, stage and put my home on the market in record time. She sold it in 10 days. Just 60 days later, I moved into my new home. – Cathy and Bill H.
Windsor Hills! 4/2 with one bedroom utilized as an office/music/family room with windows on three sides. 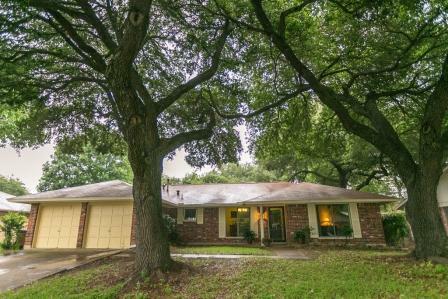 Beamed, cathedral ceiling, wood-burning fireplace, covered patio. HVAC unit and water heater installed in 2014.Hall bath updated in 2015.Updated light fixtures including chandeliers in dining and living room installed in 2015.Andersen windows and patio door installed in 2016.Rain gutters installed & house exterior painted in 2016.Double panel wood and glass front door and storm door installed 2016. This wonderful home was updated in 2016 with hardie plank siding over 1/2 inch plywood sheathing and a moisture barrier. Also new AC system including new ductwork. Blown-in insulation & radiant barrier were added. Two bathrooms were updated with tubs, porcelain tile surrounds and floors. Roof shingles also replaced 2016. Huge sunroom overlooks the magnificent back yard with two covered patios, a greenhouse, area for firepit, a storage building and more. 4 walk-in closets, workbench,shelving in garage. This is a rare, well-maintained town house in Summer Wood I. Exxcellent condition and move-in ready! You can enjoy the slightly retro look or make a few updates if you want to, but everything is done in neutrals. Beautiful tiled entry, window treatments throughout, recent blinds and draperies, storm windows to save energy, back yard landscaped with crushed granite, etc. Very private back yard. Back gate leads to path to one of two pools. Play tennis? Summer Wood has two courts! 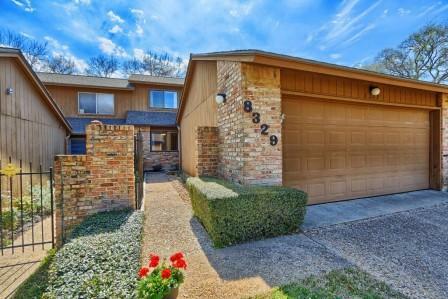 Wonderful Summerwood townhome two blocks west of MoPac in Northwest Hills! This 2 bedroom 2 bathroom home is extremely clean and well-cared for inside and out. Master bedroom is down. Wonderful loft can easily be converted to 3rd bedroom if desired. 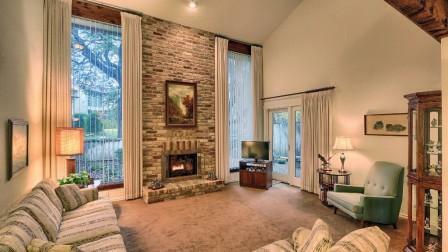 Living room has wet bar,wood-burning fireplace flanked by tall windows with view of park-like greenbelt. Lounge in the small back yard and enjoy nature. The pool is out the back gate down a little walkway. Paneled garage!